A log cabin in the woods should be a simple space; not an elaborate suburban house made out of wood but a cozy log home with a small yet perfectly formed floor plan. It is the simple living spaces of log cabins which affords the satisfying rustic life which keeps log home enthusiasts coming back to them time and time again. 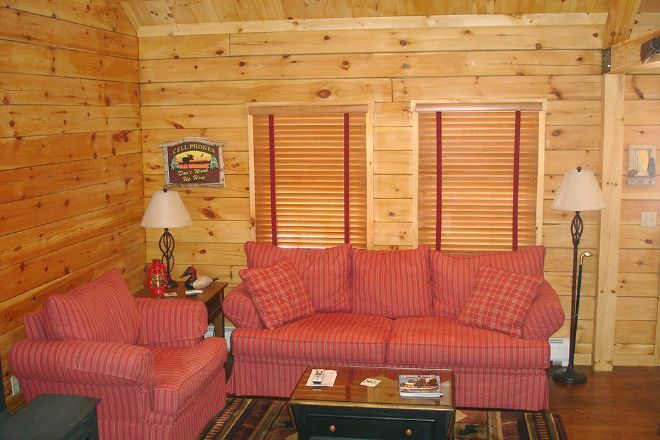 Today we are going to explore Hickory by Coventry Log Homes. It is an ample-sized cabin with 1,008-square-feet of interior living space (93.6 square meters). 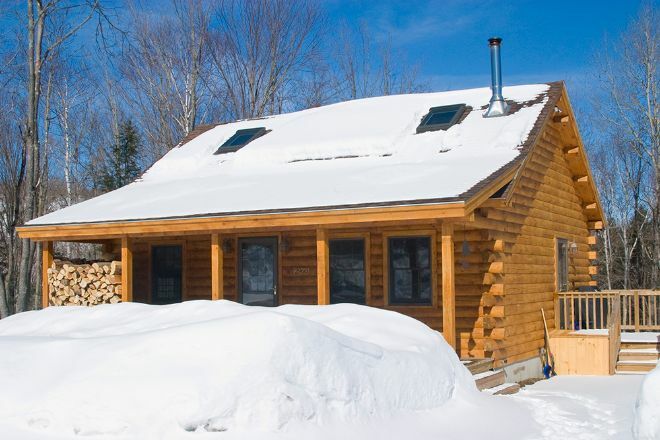 The cabin features two ground-floor bedrooms, one bathroom, and plenty of loft space. Hickory has a gorgeous rustic exterior, which invites you in from the first moment you lay eyes on it. 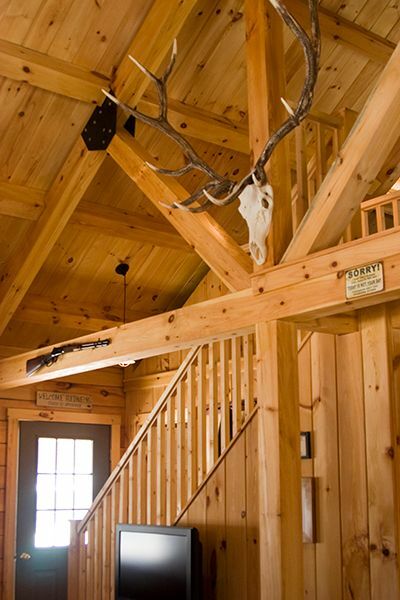 The covered front porch is generous, offering the fantastic outdoors living space one requires in a log home. The main room in Hickory has an open-concept floor plan which combines the living room, the kitchen, and the dining area. Wood paneling on the walls and hardwood floors are attractive finishes which give you the constant and unmistakable smell of wood. 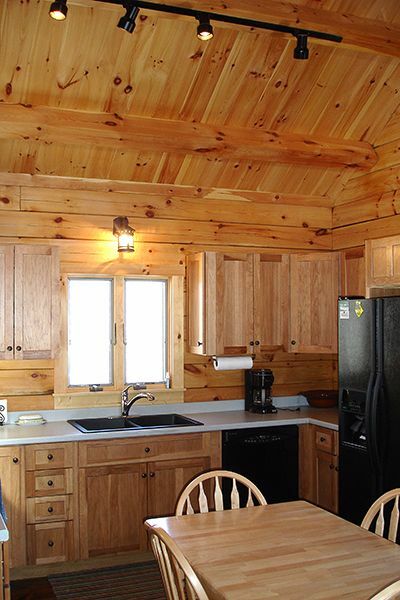 The kitchen in Hickory is finished in wood - which is in keeping with the theme of the cabin. It has plenty of cupboard space for storage and modern appliances which make cooking here a simple pleasure. Hickory benefits from a cathedral ceiling which helps to keep the air in the house fresh and circulating, whilst also allowing more natural light to fill the home. 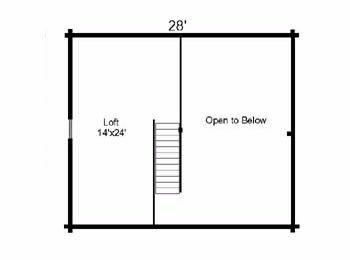 The staircase pictured leads to the loft area, which can be used for storage, a second sitting room, or the ideal home office. 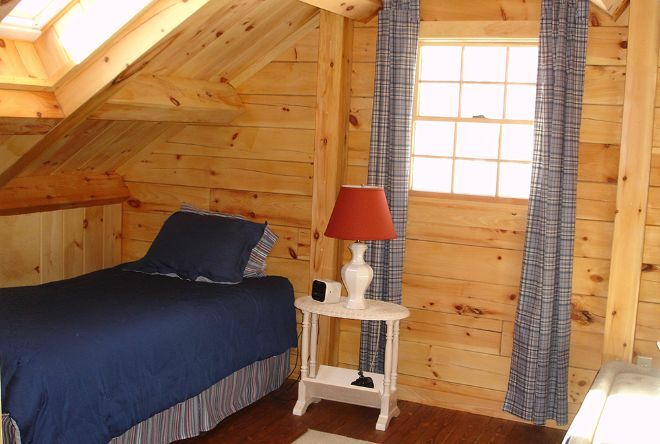 In the pictured example, the loft has been utilized as another bedroom, meaning that the cabin could easily sleep six adults. 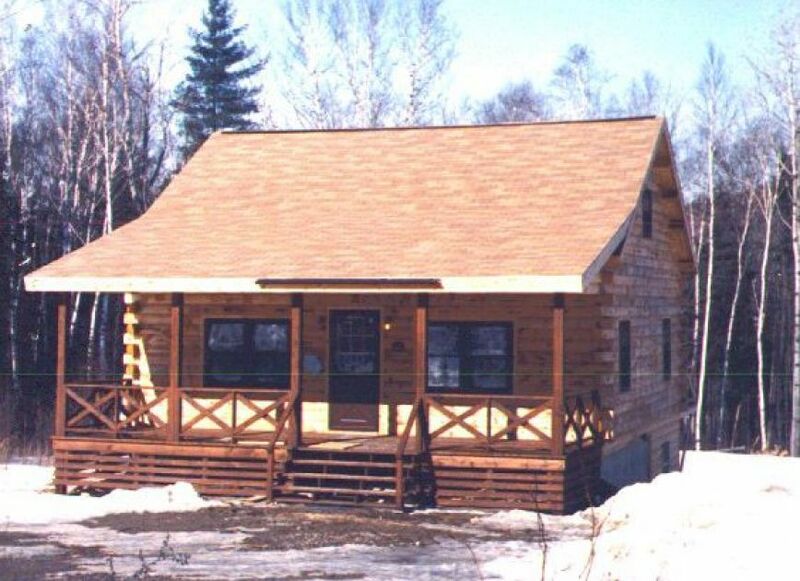 This great little cabin has a flexible floor plan which can be customized to suit the requirements of the owner. Here, the owner clearly wants a recreational lodge, and so is using the extra space for sleeping quarters. 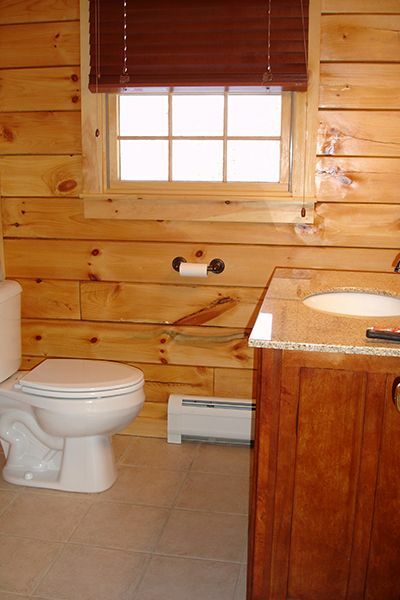 The ground-floor bathroom in Hickory has ample space to wash and doesn't feel cramped or claustrophobic. The bathroom is finished with attractive cabinetry and a solid countertop. 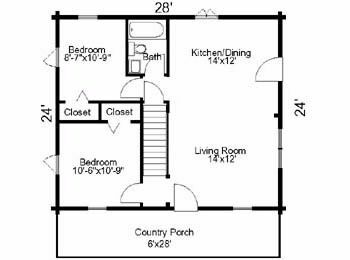 We like the simple yet efficient floor plan of Hickory, did you? Please SHARE with your friends on Facebook!